We are looking for someone to come to our house and spend time with/let out our french bulldog once a day on the weekdays for 30 min - 1 hour.We are looking for someone to come to our house and spend time with/let out our french bulldog once a day on the weekdays for 30 min - 1 hour.We are looking for someone to come to our house and spend time with/let out our french bulldog once a day on the weekdays for 30 min - 1 hour. Hiring Bristol, for a cat named Snickers.Hiring Bristol, for a cat named Snickers.Hiring Bristol, for a cat named Snickers.Hiring Bristol, for a cat named Snickers. Dog watching job available!Dog watching job available!Dog watching job available!Dog watching job available! 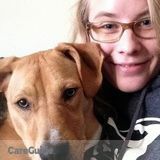 At PetSitter.com our goal is to connect job seekers to our community of pet owners in Bristol, Connecticut looking for pet sitting services. Our job board gives you instant access to the largest database of local pet sitting jobs available in North America.